This is an unrelenting and deeply felt portrait of slave labour during World War II under the Nazi regime. 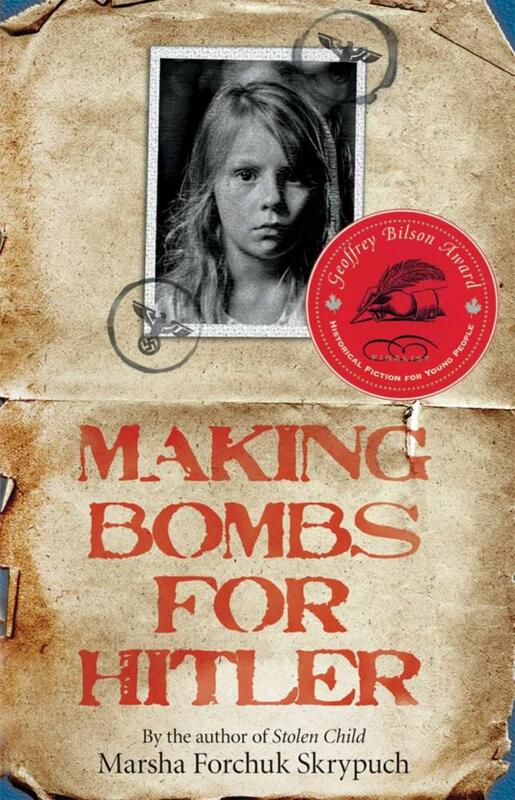 It is the sequel to this Canadian author’s Stolen Child which is about Larissa, the younger sister of Making Bombs for Hitler‘s heroine, Lida. When Lida is separated from Larissa in 1943 she is transported to a labour camp, sparingly fed awful food, and kept filthy and cold for two years. The Germans mark her as a Russian, because she is from Ukraine, and Russian prisoners are the lowest of them all – except Jews, who are considered sub-human. Lida’s is barely twelve, and her only skill is sewing, so for some time she is used to repair clothes. Towards the end of her imprisonment she is sent to an armaments factory where she works with other girls to make German bombs. The prisoners are able to subvert the bomb-making a little, but they face constant danger, either from those who watch over them or from the possibility of a bomb exploding as they work on it. At the end of the novel there is some hope offered for Lida and her friend, Luka, but this is a graphic account of a child’s terrible experience, one which needs to be frequently told. It is educational, well-written and harrowing. Unfortunately we don’t produce audiobooks, or publish print books or ebooks, for that matter. We’re just a review website. I’d suggest contacting the publisher of the book, or googling the book title and audiobook to see if one is available. Your school or local public library may have the audiobook available for loan – perhaps even in eaudio.